Acknowledged author John C. Cavanaugh wrote Adult Development and Aging comprising 496 pages back in 2018. Textbook and etextbook are published under ISBN 1337559083 and 9781337559089. 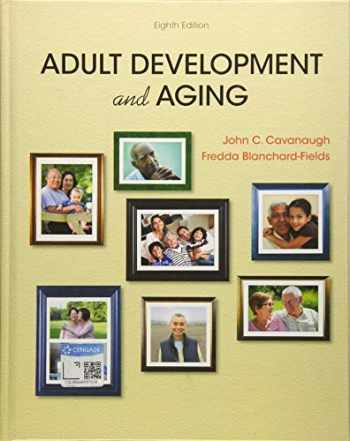 Since then Adult Development and Aging textbook received total rating of 3.5 stars and was available to sell back to BooksRun online for the top buyback price of $82.00 or rent at the marketplace. ADULT DEVELOPMENT AND AGING makes it easier to study and learn. This best-selling development text helps you connect what you're learning with real life while providing you with the tools you need to be successful in your course. Learning objectives, concept checks, review questions (organized by topic heading for quick review), and key terms (with definitions) help you focus on what's important in each chapter.